For wine enthusiasts who wish to learn more about the culture and history of wine making, The New York Times presents “California Wines: Napa Cabernet,” a new online course designed to help students explore and taste the wines of California, with a particular focus on Napa Cabernet. Students will learn about the viniculture, flavors, and winemaking that distinguish California wines and will expand their knowledge of the various regions of this great winemaking state and their distinguishing features. Statistical, physical, and organizational comparisons of Napa to other regions in California, Bordeaux, and around the world. What distinguishes Cabernet grapes from Napa from other Bordeaux varieties. 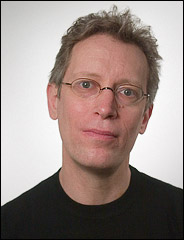 This Program of Study course is part of the New York Times Knowledge Network, which is open to consumers nationwide. Programs of Study courses, developed and taught by New York Times journalists or professional staff, cover a variety of topics and are delivered online. Students can select any number of these courses: to stand alone, or be taken as a sequence. 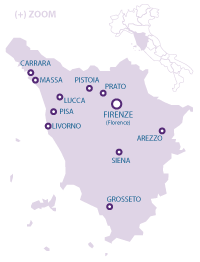 How does 4 days in Florence Italy sound as you take in Michelin dishes and world class wine. ? 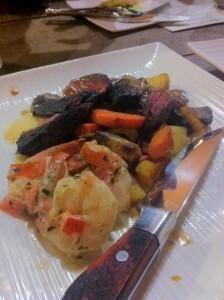 Join us at DiVino Tuscany and indulge . In its second year , Divino Tuscany is a celebration of Tuscan winemaking excellence. 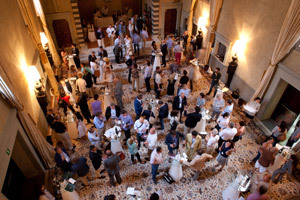 Join the world in Florence, Italy May 17 – 20, 2012 when the top winemakers from Tuscany promote, share and show off their top rated wines. This a a great opportunity to visit Italy for a One-of-a-kind, 4-day celebration of the best Tuscan wines, food and culture. 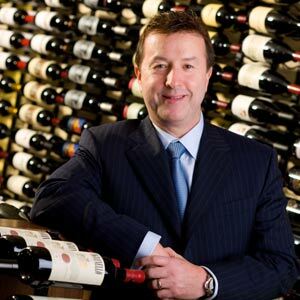 Guests will enjoy a distinctive program that highlights premium wines , wine tastings with Tuscany’s top winemakers, seminars and grand tastings curated by James Suckling, former Senior Editor and European Bureau Chief of Wine Spectator and one of the world's most influential wine critics. Special luncheons and dinners prepared by Michelin-starred chefs and entertainment organized by IMG Artists, one of the leading producers of cultural and lifestyle festivals are sure provide an experience to last a lifetime. 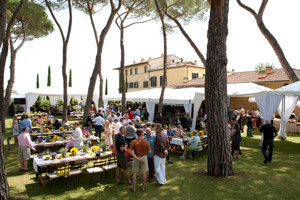 Participating winemakers include Marchesi Antinori, Frescobaldi, Mazzei, Ricasoli, Il Borro, Petrolo and Castello Banfi, and more. This 4 days of culture is highlighted by many world-class events . Join the Festive welcome dinner to open with the Italian premiere screening of James Suckling’s and James Orr’s film Heart and Soul of Cuba, recently shown to rave reviews at the Sonoma Film Festival, live music from Havana’s hottest pianist, Ernán López Nussa performing with his trio, and Grappa tasting with Cuban cigars. 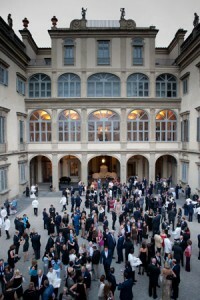 Enjoy a Gala dinner at the opulent Palazzo Corsini on the banks of the Arno. Many of Italy’s most famous families have called this place home and some of its most famous artists have adorned the walls and ceilings of this Baroque style masterpiece with works of breathtaking beauty. The grand spaces of the Palazzo Corsini remind us of an elegant time gone by. Elegant Grand Tastings at the Grand Hotel Villa Cora poured by the winemakers and proprietors themselves will provide all of the attendees a chance to meet many of these legendary men and women over a glass of wine. After the Grand Tastings , plan to enjoy Saturday night dinners in the private Palazzi of the most well known Tuscan wine families. Education is always an important aspect of any event. James Suckling will take guests through private tastings with winemakers he has personally invited for this intimate experience. In selecting the wines to be showcased in this exclusive event, Suckling reviewed his ratings over the last two decades and based his decisions on merit and high-quality winemaking. He has a great love for Italian wine having lived in Tuscany for over ten years. Divino Tuscany will close with a relaxed country lunch at the private villa Il Palagio, courtesy of owners Sting and Trudie Styler. Their villa is rustic and provides a world-class retreat with stunning views that and invite in a simpler, more present state of being. Located amongst the Tuscan hills, Il Palagio is the ideal setting for enjoying Tuscany in summer. Is there a better way to end a four day event like this? We think not! Its that time of year once again to hit the road . We will be joining The 100+ members of the Santa Barbara County Vintners’ Association as they welcome the arrival of spring and the beginning of the new vintage at their 30th annual Vintners’ Festival on April 21, 2012. The Festival will return to the Santa Ynez Valley on the pastoral grounds of “The Carranza”. 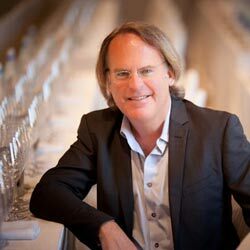 “As the festival has grown over the past 30 years, we look for venues that not only will accommodate all of our vintners and guests, but that also showcase the stunning countryside that makes Santa Barbara County one of the most beautiful locations on earth”, states Jim Fiolek, Executive Director of the Association. 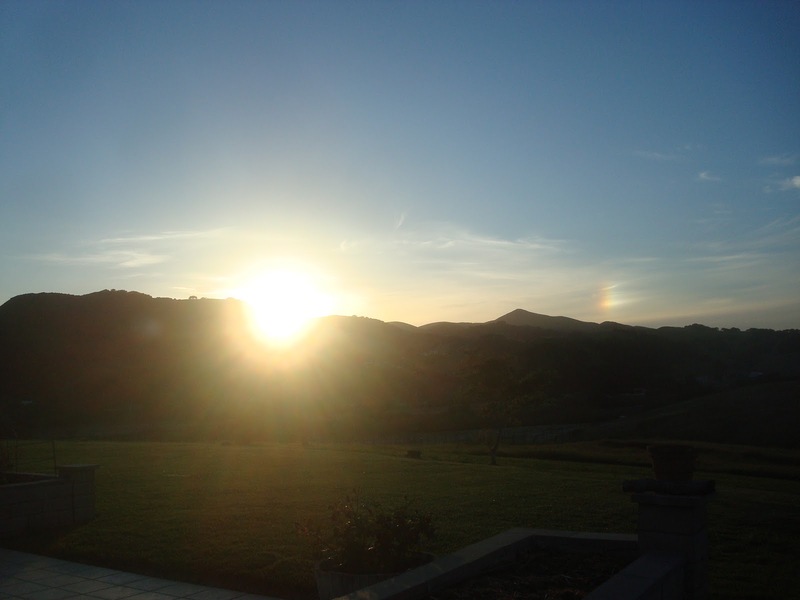 “We’re excited about holding the Festival at “The Carranza”, a meadow tucked into a valley created by Zaca Creek as it leaves Foxen Canyon. We strive to move our venue to different areas every few years to allow our guests to see firsthand the many microclimates that support growing a diverse assortment of grape varieties.” The Carranza is located on Zaca Station Road between The Firestone Vineyards and Highway 154, northwest of Los Olivos, California. A longtime tradition, the 30th annual Santa Barbara County Vintners’ Festival heralds the arrival of the new vintage. All winery members of the Association will be pouring samples of their wines at the festival, which will be complemented by a delectable array of culinary delights from area chefs, specialty food purveyors and caterers. Two live bands, wine related exhibitions and a silent auction to benefit local charities will round out the day. “Great wines, superb food and friendly people – doesn’t get any better than that!” states Fiolek. “What better way to start off the spring season and the new vintage. Join us!” The 30h Annual Vintners’ Festival will be held on April 21st, from 1:00 to 4:00 p.m. at The Carranza, Los Olivos. In addition to the Festival itself, member wineries are planning open houses, winemaker dinners and special tastings throughout the weekend, and a four day “Vintners’ Visa” passport to 12 participating wineries is also being offered through the Association. This is an event that takes visitors into the wineries to meet the winemakers and vineyard owners themselves. 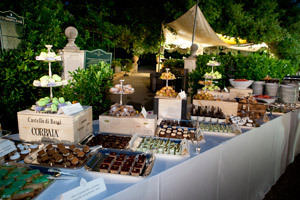 In addition , guests can can a "TRUE" feel of wine country the way it should be . See you there ! 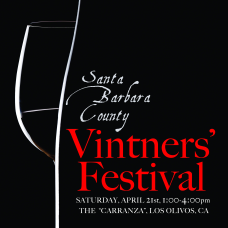 For complete details and tickets, visit the Santa Barbara County Vintners’ Association website at www.SBCountyWines.com, or call the Association office at (805) 688-0881. Founded in 1661 by Pierre de Rauzan, Château Rauzan-Ségla, situated in the heart of the Margaux appellation, tends with the upmost care and respect to its vines. With its unique experience in luxury goods, CHANEL, who acquired the property in 1994, endeavored to exalt the unique and precious qualities of this great vineyard. The classic rich bouquet, silky intense tannins and elegant taste make this Grand Cru Classé an exceptional wine. On its 350th Anniversary and to celebrate the exceptional quality of last year’s vintage, Château Rauzan-Ségla announced a very special collaboration with Karl Lagerfeld: This legend on the fashion world has designed a unique colored version of the Château Rauzan-Ségla label for the 2009 vintage. One really can’t talk about a wine like this without look at its history. It is history and tradition that can be tasted with every sip. CHÂTEAU RAUZAN-SÉGLA Established on September 7, 1661 by Pierre Desmezures de Rauzan, a tax farmer of Château Margaux and later at Château Latour (1679-1692) the estate obviously has quite an extensive history. 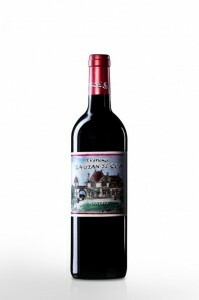 Over the years, generations of the Rauzan family succeeded in running the estate and Rauzan-Ségla wine grew in reputation in a remarkable way and were some of the most highly rated in Bordeaux. 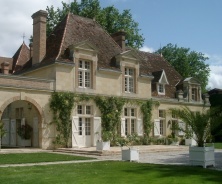 The 855 classification ranked Château Rauzan-Ségla as a Second Growth. 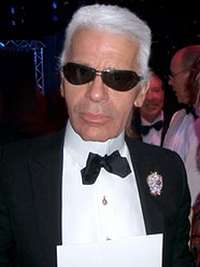 In 1994, Chanel purchased the Château and made numerous improvements . The 2009 Vintage is yet another historical one. The 35 year old vines are showing well with correct sized fruit and well defined clusters. The 2009 vintage was marked by wet weather at the beginning of the spring and a dry weather at the end with a water deficit for the eighth consecutive year. After a cold winter, the rainy spring arrived with warm temperatures creating ideal conditions just like in 2005. 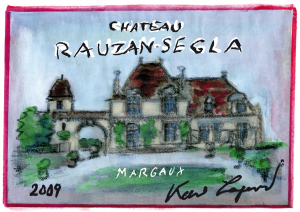 This lovely 2009 Vintage of CHÂTEAU RAUZAN-SÉGLA 2009 Margaux 2ème Grand Cru Classé is a classic blend of 59 % Cabernet Sauvignon – 36 % Merlot – 3.5 % Petit Verdot and 1.5 % of Cabernet Franc . Ageing of course is the essence of the wine. This vintage used 50% new Oak barrels made exclusively of oak from the forests of Troncais . It was then aged and average of 18 to 20 months, racked every three months with fining in egg whites. This collaboration with two legends should not, and most likely will go unnoticed by the world. Many people may ask where exactly is Moldova ? . We had to ask the same question when we took a look at a Vodka and Moscato wine from the region. It has been said “Moldova is a country where dreams come true, a place where fairy tales turn into reality”. Moldova is situated in Central Europe being equally distant from Ural Mountains on the East and Atlantic Ocean on the West as well as from Mediterranean on the South and Scandinavia on the North of Europe. Moldova is meeting place between the states of Central and Eastern Europe. This picturesque country has been independent since 1991 after almost 200 years of Russian influence. Since that time they have earned a world renowned reputation for producing some of the finest spirits Eastern Europe has to offer. The Russian heritage has been handed down to Moldovan distillers with the highest standards for vodka production using only the best quality winter wheat and finest distilling processes to create world-class vodkas. Made in Moldova and imported to the U.S.A. by Serge Import LLC of Stroudsberg, Pennsylvania Exclusiv Vodka is made from wheat . It has a slightly spicy nose , some citrus and of course grain on the palate. This is a very nice Vodka that you can sip slightly chilled or mix into a cocktail. This Vodka is very smooth and affordable as well. Exclusiv Vodka would give any high end Vodka a “run for its money “at ½ the price. In addition to a long history of making world class spirits, Moldova is also known for its wine making going back thousands of years. Grape growing and wine making in the territory of modern day Moldova began 4,000 to 5,000 years ago when the Dacian people discovered how to make wine from grapes. Today, you can find Moldovan wine in many countries in Europe, North America, and Asia, in addition to Moldova’s traditional markets of Russia and its former republics which historically consumed more than 90 percent of all Moldovan wine exports. The Exclusiv Rose Moscato was a real treat and the first wine from Moldova we have tried. In the glass it was salmon in color with nice bubble distribution rising from the center of the glass. On the nose aromas of strawberry and honey dew rise out to greet your senses. On the palate there was no mistaking the sweetness of the honey dew which led to the elegant but not overpowering flavors of strawberry and cherry. This is a very fun, sweet Moscato that is sure to please any time of year and occasions. These two Exclusiv products from Moldova opened our eyes to a amazing region in Eastern Europe which is no new comer in making mouthwatering wines and spirits. It is well worth a longer, detailed look. Remember the first time you fell in love? I’m not talking about your first heartbreak, bittersweet and painful as that may be. That’s another type of love altogether. I’m talking about FALLING in love – the sweet, pure taste of something new and unfamiliar; well that’s kind of what this tasted like. Let me back up a few months. Tanilla Knee Deep Porter first caught my eye one unassuming Tuesday night. As one of the few taps I didn’t recognize at my neighborhood Yardhouse, she stood out as something special. Her tap, like her bottle’s label had an intriguing tribal design and her brewery, Knee Deep was unfamiliar to me. The description on the beer list included Tahitian vanilla, chocolate, coffee, and the tears of angels. (Okay, not the last one, I can’t back that up.) I was sold. I love deep, dark porters and this one had me at “Tahitian vanilla”. A quick Google on the smart phone told me that Tanilla was from Lincoln, California and had an alcohol content of 6.3%. 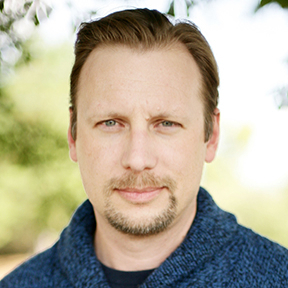 A few more clicks and I found myself face to face with Tanilla’s father, Brewmaster Jeremy Warren. From the website I gathered that Knee Deep is a very young brewery (opened March 2011) with roots right here in Nevada. Not only was Mr. Warren educated at The University of Nevada, but Knee Deep is planning to open a Reno location in the very near future. I placed my order with the typical cute Vegas bartender and waited nervously for our first meeting. Trying a new beer is not unlike a blind date. There’s that anticipation of whether you’ll like each other. Will it keep your interest? What if it smells bad? The Tanilla did not disappoint. The beer is very dark, nearly black in color with a beautiful, almost grainy tan-colored head. The most striking thing about it at first meeting is the aroma. It’s very clearly vanilla, but not any vanilla I’m used to. The scent is warm, musky, even smoky. I almost expected…well, actually, I didn’t know what to expect ,the scent was that unique. The first sip drew me in. Tanilla is a thin vanilla porter, slightly sweet, with a low level of carbonation. Though the smell is exotic vanilla the taste offers dark chocolate and espresso to the palate. It was as if my favorite vanilla coffee t I could go on and on about the lacing and the mouthfeel and the nose, but frankly, I don’t actually know what any of those terms mean and at best I’d just be a poser, regurgitating terms that I’ve heard tossed out in pubs by much cooler and more knowledgeable people than me. My lack of beer snobbery cannot stop true love, and true love it was. I was head over heels for this mysterious brunette with the sweet aftertaste. (Or, should I say, I was Knee Deep in love. wink, wink.) I remarked more than once that it was the best beer I’ve ever tasted. Subsequent tastings have taught me new things, as any good relationship should. For example, as I was delighted to find that my friendly neighborhood Lee’s Discount Liquor stocks several Knee Deep varietals including my beloved porter, I was surprised to learn that I quite prefer her charms on draught. In a bottle, Tanilla is mellowed out. The flavor is more vanilla coffee than exalting roast. The aroma remains the same but there’s just something about that keg that lets the lady shine. Another interesting discovery came when I tried her out with food. She tends to get lost when accompanying a meal. Her deep flavors become muted and her sweet aftertaste becomes sticky. Tanilla is meant to be the star of the show. She shines as an after-dinner drink or as the main event during happy hour. This is not a beer meant for mindlessly chugging. Sip. Savor. Enjoy. You would think it would be that simple, right? Tanilla Knee Deep Porter and I would live happily ever after in Beerland (Directions: make a left at Whiskeytown and keep going past Wineville…you can’t miss it!) But the story is never that simple dear reader, there always must be conflict at the end of Act I so we have something to look forward to in Act II. It was at that precise moment when the Honey Weiss walked into my life. 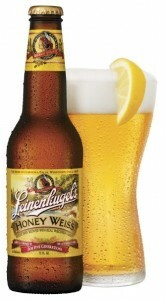 Leinenhugel’s Honey Weiss, to be accurate. She showed up at my house looking to party one night in a seasonal twelve-pack with her friends Oktoberfest, Red Lager, and Classic Amber. Each beer was appealing in its own way, but the Honey Weiss really called my name. The Betty to Tanilla’s Veronica; blonde, perky, sweet and bubbly; I didn’t stand a chance against her charms. I found myself in a real life Archie Comics love triangle, torn between two delicious rivals - one blonde, the other brunette. So there I was, the archetypal hero, torn between two equally powerful loves: light vs. dark, Weiss vs. Porter, blonde vs. brunette, Betty vs. Veronica. I wish I could tell you that I came to a conclusion. I nobly chose my one true love and skipped off into the sunset. (Skipped, not rode, because you should never drink and drive!) Alas, that was not our fate. Tanilla and I enjoy our private time together curled up with a good book or occasionally at happy hours. I think she likes it that way. Honey Weiss is my party girl; she’s always by my side when the music beckons. Everyone seems happy and all is well in the magical Beerland. So I guess we did kind of get a fairytale ending, or at least a comic book one. Like Archie before me I chose the shrewdest path – I chose not to choose. I continue to enjoy them both. After all, when it comes to beer, there is enough of me to go around. YOUR PASSPORT TO A GLOBAL WINE ADVENTURE IS HERE ! It is no secret that for decades New York is one of the world’s greatest cities. 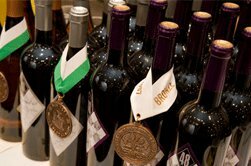 On March 2-4th 2012 the world’s best wines come to New York and you are invited. The center piece of the event is the Grand tasting which offers attendees a chance to sample wines from nearly 175 wineries from around the globe. The Expo is also a wonderful opportunity to talk directly with wine makers and pick up tips on serving, pricing and selecting the right vintage . This world class showcase of wine will be held Jacob Javits Convention Center In addition to great wines guests can enjoy the latest in wine accessories and specialty foods as well . Explore grapes and wine styles as you taste eight wines from around the world, learn the tasting techniques used by pros and build a wine appreciation framework that you will use for the rest of your life. 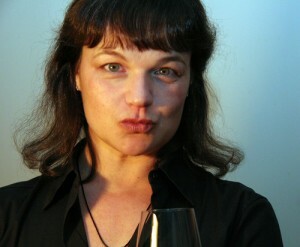 It’s a lively seminar, hosted by Wine Spectator's Director of Education Gloria Maroti Frazee. One of the world’s most traditional wine countries is seriously stepping up its game and using indigenous grape varieties from diverse regions to produce delicious wines. Explore Portugal and taste for yourself why wine critics are excited about Portugal’s new wave wines. 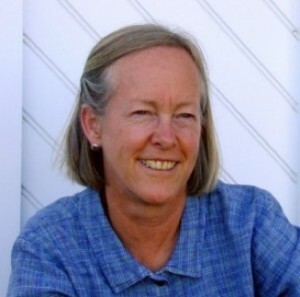 Hosted by Wine Spectator's Director of Education Gloria Maroti Frazee. 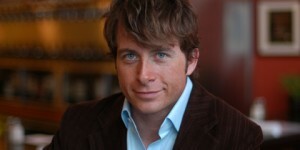 Renowned wine speaker, author, and PBS TV personality Mark Oldman gives you an insider's view of the wine of France's celebrated Rhône Valley. Mark clues you in to a wide variety of Rhone wines that will make you the envy of your wine-passionate friends. An exclusive offer from VINO LAS VEGAS Just for you ! We are pleased to offer you a PROMO CODE for you which will be good for $15.00 off Friday Tickets, now through March 1st. ! 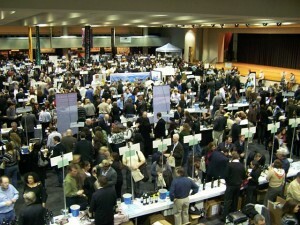 Visit http://NewYorkWineExpo.com or Call 1-800-544-1660 and give them promotional code VINOLV. It is as easy as that and you can attend this world class event in one of the world’s iconic cities. It is no secret that the current economic environment has affected millions of Americans. Many restaurants have closed and loyal employee s for years have lost their jobs. But, as with any negative event some have excelled in a very tough environment . One of those risk takers who as expanded in this contracting economy is Raymond Nisi and his Double Helix Brand. Raymond opened Double Helix Wine and Whisky bar / Boutique 4 years ago. It is located The Shoppes at The Palazzo resort and has nearly 2,100-square-foot space that includes a circular lounge where guests can enjoy 50 wines by the glass. The adjacent boutique offers hundreds of bottles of rare and hard-to-find labels from all over the world, plus a selection of wine books, wine accessories, wine-infused gourmet foods, and specialty spirits. His next venture took him to Town Square Shopping center where he opened Double Helix Wine and Whisky lounge. The lounge features a full bar that offers over 30 unique wines by the glass, 50 whiskeys, sampler flights, and Double Helix’s signature “winetails”. 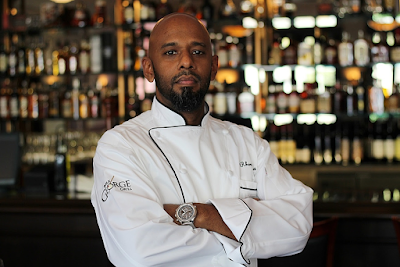 Chef Doug Vega, whose previous experience includes Daniel Boulud’s DB Brasserie heads up the kitchen and has created a wine and spirit-friendly small-plates tasting menu. Raymond’s next step was his biggest step yet. 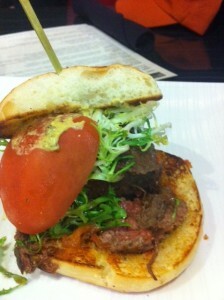 Recently Raymond opened Bottles and Burgers by Double Helix and Tivoli Village in Summerlin. His newest venue features gourmet burgers, salads, and even an old fashioned ice cream bar and soda fountain as well as a variety of Double Helix’s private label wine and 50 selections of half bottles of wine. We sat down with Raymond Nisi at Bottles and Burgers and spoke to him about his thoughts on expansion in a down economy and his three venues. Q: In an economy where restaurants are closing and jobs are being lost you are opening restaurants and hiring. What is your strategy? 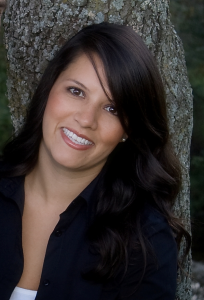 Q: We have visited all three locations and your staff is very good. What do you look for when you hire a new employee? 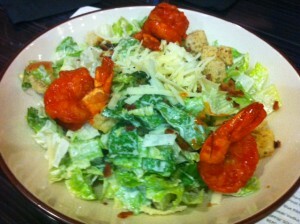 Q: Many of your employees have come from other restaurants on and off the strip. Do you ever hire any without any previous experience? Q: Tell me about Double Helix Palazzo . A: “It is now 4 years old. 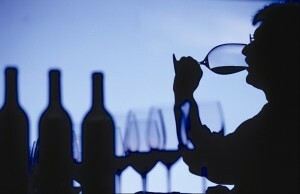 It provides a great experience to sample wines by the glass, Scotches and Whiskeys that you may not see very often. We even get repeat tourists which is a big plus. They come back to see us every time they are in town. It also provides a nice meeting place because it is centrally located”. Q : Ok let’s move on to your Town Square location. Q: Bottles and Burgers just opened. Please tell us what we can expect. 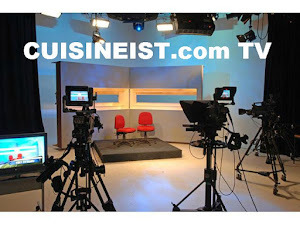 Q: Finally, what do you foresee for the Las Vegas Economy in 2012?